Our brand new Travel Guide 2019 is ready for you to read! Get the lowdown on the hottest new golf destinations around the world, with the best advice on where to play and stay. 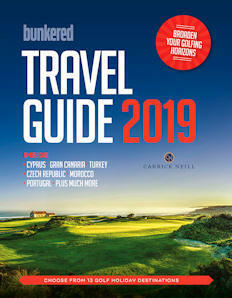 We’ve hand-picked the very best holiday golf hotspots for you to enjoy in this glossy 48-page publication, which is inside the latest issue of bunkered magazine. Alternatively, click the link and read right now!